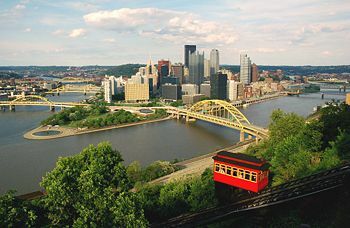 Here in the longtime Democrat stronghold of Pittsburgh, media and politicians have taken umbrage at President Trump’s explanation that he acted in the interest of our city by walking away from the Paris Climate Agreement. 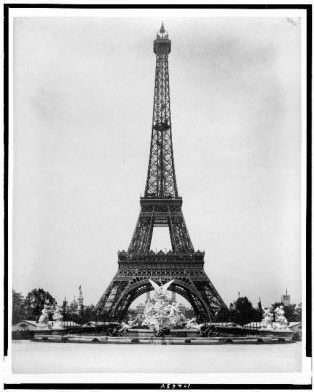 “I was elected to represent the citizens of Pittsburgh, not Paris,” he declared. Naturally, Mayor Bill Peduto was offended, although it was unclear exactly why. Peduto has made no secret of his admiration for avant-garde European cities. Perhaps it’s Trump’s stated preference for American cities that has struck a nerve. If he and the other participants had any regard for the truth, they’d recognize that the United States was never a signatory to the agreement in the first place, which is why we, in this country, don’t call it a treaty. President Obama had signed the deal with no intention of submitting it to the Senate for ratification. Therefore, his signature conveyed only a personal agreement on his part. Our nation had never agreed to its terms, and therefore had never been a party to it, as those boorish European leaders now expressing mock outrage are perfectly aware. Peduto’s marchers could easily look up the truth if they wanted to, and realize that the Paris agreement is remarkably short on specifics, let alone any enforcement mechanism. In fact, it leaves it up to each party to determine its own requirements. For example, China has agreed that its greenhouse gas emissions will “peak” in 2030, before starting to decline. If you believe in manmade global warming, think about that for a minute. Supposedly, we’ve been on the cusp of global annihilation since the early 90s. The world’s most populous nation, which is also a burgeoning industrial power, promises to continue increasing its emissions for another 13 years. Why are you not joining Trump in refusing to endorse such an agreement? Obama had pledged to cut our emissions by 28 percent below 2005 levels by 2025, which was an irresponsible thing to do, knowing that he’d be leaving office eight years sooner. Presumably, it is this with which Mayor Peduto will now force Pittsburgh to comply. Mind you, there is no reliable way to measure greenhouse gas emissions from a particular country, let alone a city, a fact that further erodes the agreement’s credibility. Peduto must mean to achieve the desired results, as nations do, from extrapolations based on changes in government policy. How realistic would that be, really? Peduto’s most noxious “green” initiative has been the proliferation of bicycle lanes, for the purpose of restricting auto traffic to fewer lanes on many roads and bridges. The aim is to inflict hardship on motorists so that they’ll drive less frequently. To the degree that it is unsuccessful, however, it is causing people to sit in traffic longer, or take circuitous detours, burning more fuel in either case. Perhaps he hopes to reach his goal by reducing the number of Pittsburgh residents to 28 percent below what it was in 2005. If approximately 80,000 more people were to flee the city in search of better schools, roads you’re allowed to drive on, and a mayor who doesn’t attack the cops while they’re trying to protect us, our little corner of the planet would officially be saved! As the leaders of the totally dishonest “March for Truth” surely know, the true purpose of the Paris Climate Agreement is global wealth redistribution, under the guise of helping developing nations pay the costs of compliance. The Green Climate Fund, the UN-created entity through which the transactions are to take place, has a stated goal of raising $100 billion per year, although it offers no specifics about the presumptive sources of that funding. Trump thinks he knows where the bulk of it is expected to come from, and the hysterical reaction of the “international community” to his rejecting the deal has proven him right. So, Mr. Peduto, what do you figure Pittsburgh’s share of this financial commitment to be, and how do you plan to collect it from us? Those of us rotten, CO2-producing constituents still defiling your city would like to know.